“Let us be united in love and find our peace of mind together with our friends. Let us recognise our mistakes in the cleansing light of Heaven…” were the words sung by the Erguvan Ensemble, Istanbul, at the 10th Musica Sacra International Festival in Marktoberdorf, Bavaria. The text is by sultan Walad (1226-1312), the son of the Islamic mystic Jalal al-Din Muhammad Rumi (1207-1273) who was one of the most important medieval Persian poets. For his Sufi reform teachings of love, humanity and unity, “Maulana” in Persian, or “Mevlana” in Turkish, he was called “Lord and Master”. Music and dance represent love and establish a connection with God. 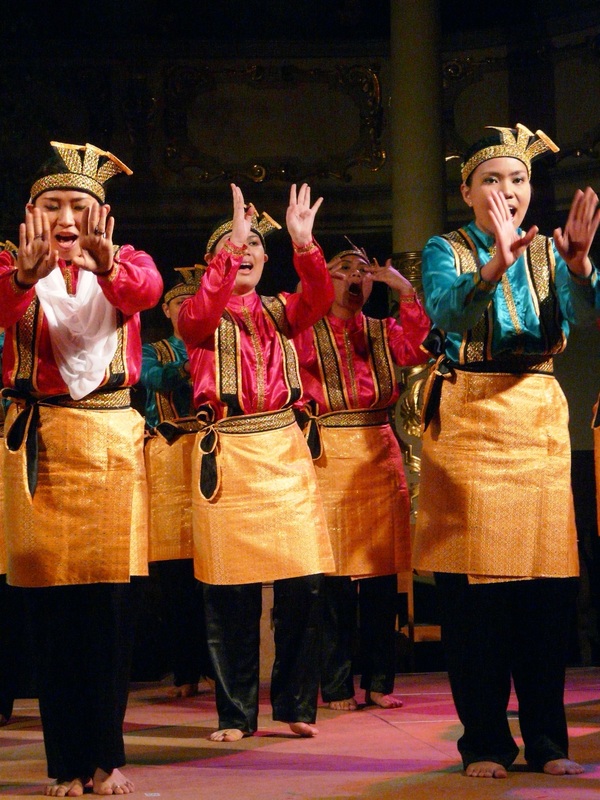 The openness of this Islamic dimension was expressed again during this 10th Musica Sacra International Festival. The festival, sponsored by Arbeitsgemeinschaft Deutscher Chorverbände (ADC, Working Group of German Choir Associations) and established by Dolf Rabus in 1992, was created to be an encounter of the world religions (Christianity, Judaism, Islam, Hinduism and Buddhism) through music as a means of reducing misunderstandings and developing a climate of mutual respect and tolerance. The ensembles and artists came from Denmark, India, Indonesia, Israel, Italy, Jordan, Sweden, Tibet, Turkey, Ukraine and the host country, Germany. Thirteen concerts were given in churches, concert halls, castles, mosques and synagogues. Once again, the event was exemplary for putting into practice visions of a peaceful togetherness of peoples. Aida Swenson-Simanjuntak came with her Indonesian children’s and youth choir CORDANA, which she created in 1992. The ensemble unites children from Muslim, Hindu and Christian families and is a living example of how different religions can interact peacefully. Aida’s aim is to make Indonesian children and youngsters sing and help them get a music education. Most of the families are poor and do not have the means to pay for this. The festival public was fascinated by the immense commitment of these youngsters during their concerts. “The blessed day” was the title of an improvisation on a Swedish folksong, in which the Indian Raga singer Ashish Sankrityayan (Hindu), the Swedish St. Jacobs Vocal Ensemble (Christian) and a member of the Israeli Collegium Singers Tel Aviv (Jewish) playing the sitar made music together under the direction of Gary Graden. 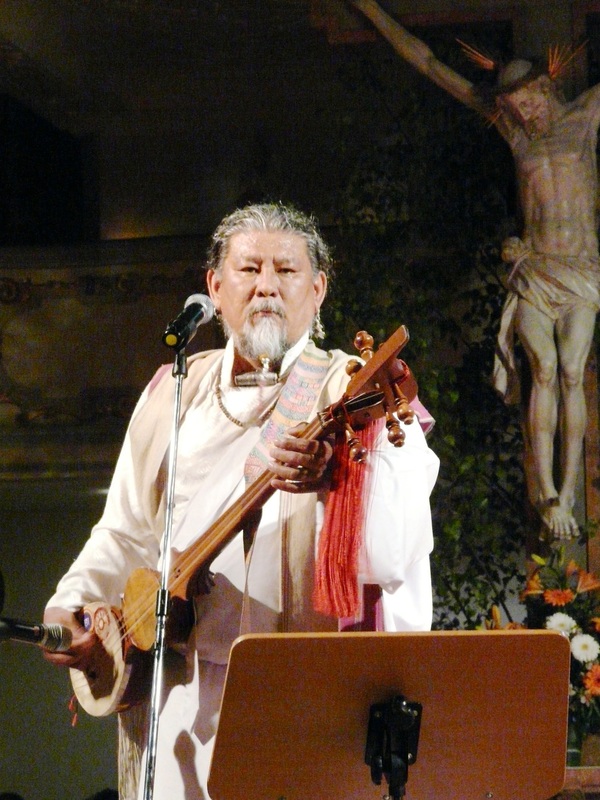 The Tibetan Loten Namling (Buddhist), a friend of His Holiness the Dalai Lama, who lives in exile in Switzerland, and the Indian Ashish Sankrityayan sang together in the Augsburg synagogue. In the Aswanuta Global Voices youth choir from Jordan, Muslims and Christians sing together under the direction of Shireen Abu-Khader and André de Quadros … Conductor Shireen is a Christian; after music studies in the USA she now teaches in Ramallah and Jerusalem. The artistic director, André, is a music education professor at Boston University. He says: “We want to show the musical riches of this world und promote singing together beyond borders”. This is the spirit of Marktoberdorf. Seven conferences were also part of the festival programme. 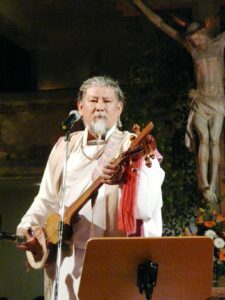 Loten Namling: “The fact that musicians from different religions meet here is Utopia become reality… Music has united us – this is something very beautiful. We have the feeling that we are really doing something for a better world… This gives me renewed strength and is a great honour for me”. Volker Hempfling, choral educator and director of the Kölner Kantorei choir: “Music is the least complicated way of moving towards each other, as shown by Musica Sacra. The Augsburg diocese, which has banned from its churches musicians from other religions, should think about this; they should not only talk about ecumenical dialogue but also practise openness towards other religions”. Avner Itai, founder and director of Collegium Singers Tel Aviv, Israel – he belongs to those who criticise their government’s policy concerning Gaza – : “The idea of Musica Sacra and its implementation is wonderful. We in Israel are trying to do this in a small way: for many years my group has been part of the ‘Voices for Peace’ project. We are practising Jewish-Arab cooperation and perform together Jewish, Arab and Christian music. Here in Marktoberdorf we have a great opportunity to learn new things. 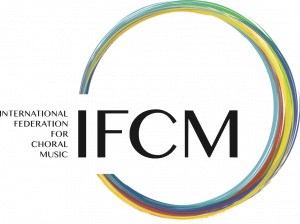 … It is particularly important for us to see how other choirs from other continents and other cultures perform, and how traditional elements are integrated into compositions. It was very interesting for us to see how, for example, the Jordanian choir has built its programme”.